Fear of heights, or acrophobia, is one of the most common phobias out there. There’s no medicine or quick fix for this disorder, making hypnotherapy the surest remedy. Simply put: Acrophobia is an exaggerated version of the universal survival instinct to flee from danger, namely that of falling from a high place. People inflicted with the phobia can’t always define the origins (usually a traumatic experience in their past), but that doesn’t mean there isn’t a solution. 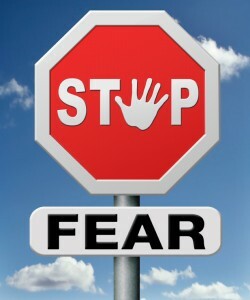 Hypnosis is a place to safely understand why the phobia is an irrational obstacle. I then guide you into reversing your mental reactions to those moments of being above ground. With continuous practice, your new thoughts will become so natural that they change your usual behavioral responses; and, in turn, rid you of acrophobia for good. If you’re anxious that hypnosis won’t work because your fear is purely irrational, remember: all you need to secure a successful treatment is the desire to overcome your fear. Leave everything else up to me. Call my office to set an appointment (212) 599-3195. This entry was posted in Hypnosis and Phobias, hypnosis anxiety and tagged acrophobia, fear of heights, phobias by Dr. Errol Gluck. Bookmark the permalink.